Q: What’s the Christian Christmas story based on? The Christian Christmas story is based on Mythology borrowed from elsewhere. I’m going to look at the pagan origin of each of these myths and legends one day at a time: the miraculous birth; in a humble place; of a youngster of impressive genealogy; accompanied by a tremendous star; and (in Luke) a heavenly choir; recognition of the divine child by passing vagrants wise men; their presentation of gifts; and the slaughter of innocents by a king fearing the child might displace his crown. The early Christian writers did well in writing their story but, rather than being made up out of whole cloth, it was woven together from earlier myths and legends and the stories of other religions, with most of which they and their readers would have been familiar, to tell the bigger tale those writers wanted their readers to embrace. Stay with me as I tell the stories. Today, the Myth of the Miraculous Birth . 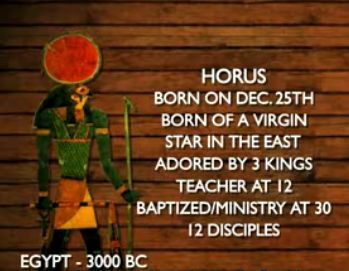 . .
Far from being unique to the Christian Christmas story, the Virgin Birth Myth is so common in world mythology as to have been the leitmotif of any god anywhere--it's almost like it's a prerequisite for any god that the story appear in his biography if he (or she) is to be taken in any way seriously. So no wonder those early Christian authors wanted it for their own. 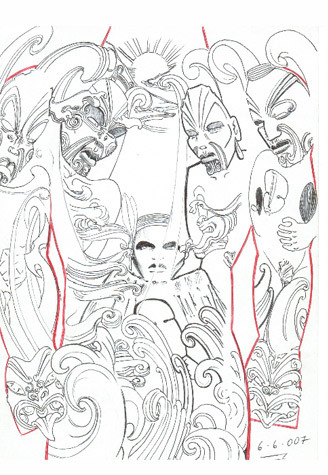 The tale appears in American Indian mythologies; in Greek, Roman, and Norse mythology; in Asian and Indian mythologies of every kind -- and even in Maori mythology here in New Zealand. It’s ubiquitous—and not just because everyone copied, but because, like all mythology, it reveals some fundamental truth. LOOK AT SOME OF the places and times that share the tale. Thai mythology has a virgin-born god and saviour called Codon, his mother, a beautiful young virgin, was “impregnated with sunbeams” while out praying one day. Like someone else we could mention, it was said of the Buddha, “He in mercy left paradise, and came down to earth because he was filled with compassion for the sins and miseries of mankind.” From the time of his birth however, Maya’s womb was sealed up “like a casket in which a relic is placed” and she lived thereafter as a perpetual virgin. So it didn’t all end well for her. China too has the demi-god Fo-hi, conceived when a virgin tasted the divine lotus, and at whose birth a rainbow appeared. Laotse too, the founder of Taoism, was said to have been “a divine emanation incarnate in human form,” born of a virgin out of his mother’s side. The sages Yu, Hau-ki, Xaca, Confucius were also said to all be god-begotten and virgin-born. Stop me if any of this is sounding at all familiar. NOW IT MIGHT BE argued that all this was a bit distant to early Middle Eastern authors. Maybe. But the Middle East of the time was one vast trade route. In any case, there was plenty of virgin-born action closer to home. In Egypt there was the Saviour Horus, god of vengeance, sky and protection and the second emanation of Ammon, conceived in bizarre fashion out of the virgin Isis and said to be born on December 25; the god Ra, “born from the side of his mother, but was not engendered,” and the sons he himself divinely “engendered”; the god-king Menes likewise. As was the Indian/Persian angelic divinity Mithras, said to have enjoyed a virgin birth, 12 companions and an ascension into heaven, and around whom the Romans built a religion that at the time of the Gospels’ creation was among the most popular going around—the Pagan Christ—the sun-god ‘Sol Invictus Mithras’ said to be the “favourite deity” of Asia Minor whose “mysteries” had “permeated the Roman Empire and extended from India to Scotland”—and whose birthday just happened to be on December 25. If they were to be successful, this last was the main religion the early Christians either had to knock off or usurp—or absorb. before being resurrected and ascending to heaven. Nice story. But who would ever believe it? So he was a divine and all-powerful fellow. And so were Jove’s sons, by Jove! Among the divine sons of Jove aka Zeus we can find Hercules, the son of Jupiter by a mortal mother Alcmene;Bacchus (aka Dionysus), delivered by the mortal mother Semele “by a lightning-bearing flame” (which must have hurt the poor woman); Amphion, by the mortal mother Antoiope; Prometheus, the deliverer of fire to humans, and a deity uniting divine and human nature; Perseus, by the mortal virgin Danae; Mercury, by the mortal mother Maia; Aeolus, by the mortal mother Acasta; Apollo, delivered under a tree to the mortal mother Latona; Aethlius, by the mortal mother Protogenia; Arcas, by a mortal mother; Aroclus, by another mortal mother. That’s a lot of begatting going on. So it seems that if any bogus Messiah were to be taken at all seriously around these parts, he needed as a minimum some kind of supreme being in his bloodlines and maybe a bit of virgin-birthing to kick his story off. Roman and Greek rulers themselves were not immune to having their stories so embroidered. 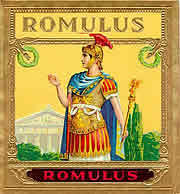 The legendary founder of Rome Romulus was said to have been the son of God by the pure virgin Rhea-Sylvia. Julius Caesar was supposed to have a God for a father, as was Augustus. Alexander the Great was said to have been the son of either Jupiter/Zeus or Ammon (depending on who was telling the story) by the mortal mother Olympias, who was impregnated by a divine snake, all of which no doubt amused his warrior father Philip. His general and partial successor Ptolemy Soter (Ptolemy Saviour) was also said to carry the divine afflatus, as was Cyrus, King of Persia. Even closer to the Middle Eastern home was Simon Magus, a Hebrew hero contemporary with Jesus who performed miracles and was believed to be the son of a god. And that’s not to mention the various offspring of Odin (who, because of his predilection for wandering the skies delivering gifts, was said to be one of the forebears of the Santa story), including Baldur and Thor; or the various virgin-born gods in the ancient South America that helped the Spanish so much in selling their own version of the virgin-born story to a fearful population—god-king-saviours like the MexicanQuetzalcoatl, the Mayan Zama, Bochica of Colombia, Manco Capac (offspring of of the god Peru), Votan of Guatemala, and Zome of Brazil. Meanwhile, North American Indians celebrated the divine birth of Wasi, if you were Cherokee; of Qaagagp if you were an Edue of California; of Tarengawagan if you were Iroquois; and Michabou if you were Algonquin. Not to forget the miraculous birth of the trickster and miracle-worker Maui, conceived here in New Zealand to the divine Tama-nui-te-ra and the mortal mother Taranga, and the hero of many delightfully tall tales. NOW, IT’S FAIRLY OBVIOUS that not one of these stories relate actual historical events. In each of them, the story is intended either to be taken as the sort of exaggerated boasting Arabs still enjoy today, or to be taken as a metaphor—a symbol in the most basic sense. 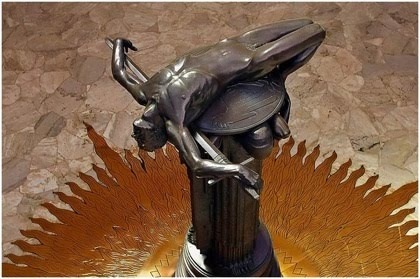 According to mythologist Joseph Campbell, the symbol embodied here is that of “the birth of spiritual man out of animal man.” A symbol, in other words, of an important transformation in human affairs --- the coming into maturity of mankind. This relates strongly to what Campbell calls "the Hero Myth," universal in so many cultures, in which the son is born to a father who is, let’s say, a hero warrior gone off to the wars after conception never to return. The son’s first quest as a man—his first spiritual journey—is the quest to find his father. In other words, to find himself. There is then [says Campbell] a whole tradition of mythologies involving the spiritual begetter and the son who must go in quest of his father. But important to the tale that his thought-to-be father is often revealed not to be his real birth-father – his origins, like mankind’s, being lost in the mists of time. So if you do take these as Gospel, then you’d surely have to believe him. Understanding the myths is far more interesting than arguing for them being literal or historical fact. Isn’t it odd that instead of enjoying the metaphorical meaning of these myths and stories, so many folk get hung up instead on the literal fiction. 1. This and later posts in the series rely heavily on Thomas William Doane’s Bible Myths and Their Parallels in Other Religions. Unless otherwise attributed, all quotes are sourced from there. And check out the Question ‘Is Jesus God?’ at the Skeptic’s Annotated Bible site. Good to see you mentioned Joseph Campbell on Mythology. His work available on youtube, and it is fascinating in that weave between imagination and reality. This is very interesting. On finer point though, as I understand it the Catholic Church, of which I am not a member, does not in fact claim that Mary was a virgin when she conceived and subsequently gave birth. The "immaculate conception" refers to Mary supposedly being cleansed of her sins at the time of the conception https://en.m.wikipedia.org/wiki/Immaculate_Conception. However, it was historically believed by many that Jesus was also a virgin birth https://en.m.wikipedia.org/wiki/Virgin_birth_of_Jesus and the two stories are obviously closely connected and consistent with the main article above.